There are changes ahead in our greater Seattle Market, as so many of us have heard. Despite the newspaper headlines of doom and gloom, the fact is we still have a healthy job market with well-paying careers. People seek out Seattle for its cosmopolitan features and natural beauty. The job force moving to Seattle aligns with the demographic that wants to experience the lifestyle of the good life and good fun in the outdoors. We have a thriving arts community, breathtaking vistas, and wonderful walkable neighborhoods. While the pace of the price increases has slowed, home prices are still on the rise, and longer market time allows buyers to more fully investigate a target property before making an offer. 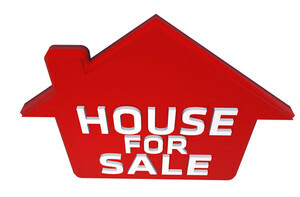 This allows the buyer to be fully informed of their purchase and can present less liability for a seller. We still are in a seller’s market but a little closer towards a balanced market which would be closer to a market time of 5 months on the market. As a Realtor, I welcome the change for my buyers. The uncertainty of interest rate adjustments and Stock Market volatility will continue to affect our housing stock. Below is the market update from the NWMLS that serves much of the state of Washington, including the Puget Sound region. “KIRKLAND, Washington (January 7, 2019) – December brought few surprises for real estate brokers in Western Washington with holidays, fluctuating interest rates, and volatility in consumer confidence contributing to slower activity. Several leaders from Northwest Multiple Listing Service described 2018 as a transition year for residential real estate. As you may know, Real Estate can’t be painted with a broad brush. Each town and indeed each neighborhood can vary from the next. For a custom report of your area, please contact me, I am happy to provide you with the most current information and statistics.